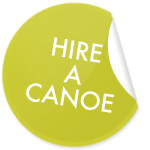 Canoe Hire Lechlade. Lechlade is a picturesque small town on the uppermost reaches of the river Thames. The Thames at this point is still a minor river but it is a beautiful section of the river Thames and one that not many people often get to see! We don’t offer specific routes from Lechlade however if you are keen to book a trip which starts here then just get in touch and we will see what we can do! Bear in mind that prices may be slightly higher due to the fact this is a less popular route than some of our others. The meet point and launch points will be explained to you once you have booked. Don’t forget we also have the capability to provide canoe or kayak hire from any of our other landing points on the River Thames. Further down the Thames from Lechlade you may encounter locks. You can either paddle through the locks or get out and carry your boats around. We would suggest that you paddle through the locks when the lock keeper is on duty and portage if the lock is unmanned. When you are carrying your boats be sure to lift carefully and try not to scrape the bottoms of the boats along the ground if you can help it! We are unbeatable on price. Check out our up to date pricing structure here. All bookings need to fill out the form in the top right corner of this page for us to get right back to you with availability and pricing. If you just have a quick question however, call us direct on 01432 264 807. More questions? Check out or FAQ’s page. Safety brief and basic instruction before setting off. Please note: transport is not included on the upper-middle Thames so if you need to be taken back to your start location then contact us for a price. We don’t offer any specific recommended routes from Lechlade, however if you are keen to canoe or kayak from Lechlade then just get in touch and we will see what we can do! Bear in mind that prices from Lechlade may not be the same as is stated for other more popular locations on the Thames. For a trip spanning the whole length of the Thames however you may well wish to start in Cricklade or Lechlade – check out our page on paddling the whole length of the Thames for more information.